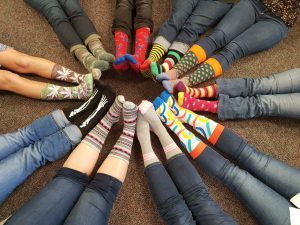 The team at HighWater Limited participated in World Down Syndrome Day on the 21st March 2018 by “Rocking their Coolest Socks” and raising over CI$500 for the Special Needs Foundation of Cayman (“SNFC”). In the past, money raised from this event has been used to cover items such as eye exams and glasses, therapeutic horseback riding, feeding therapy and other specialized services. SFNC provides direct support, advocacy, information and education on behalf of the children with Special Needs in the Cayman Islands.